Paul Rucker is a visual artist, composer, and musician who combines media, often integrating live performance, sound, original compositions, and visual art. His work investigates community impacts, human rights issues, historical research, and basic human emotions surrounding a subject. He has been featured on multiple TED Talks addressing systemic racism and mass incarceration. Rucker has been the recipient of numerous grants, awards, and residencies, including Artist Trust, Washington State Arts Commission, 4Culture, Creative Capital Foundation, Headlands Center for the Arts, Pilchuck Glass School, and the Rockefeller Foundation Study Center. 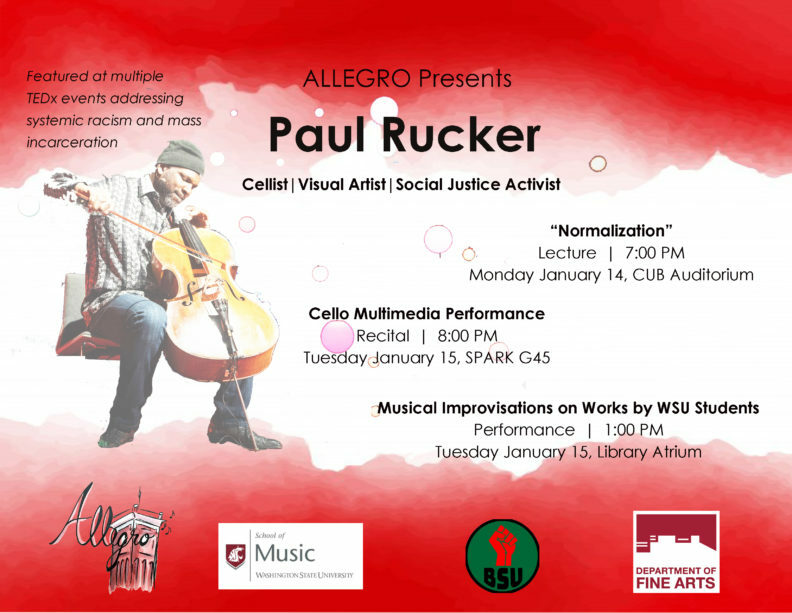 This performance features Rucker on cello, with multimedia visuals accompanying his music. This event is sponsored by Allegro, the WSU School of Music, the WSU Black Student Union, and the WSU Department of Fine Arts. 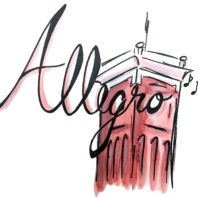 Allegro is an umbrella Registered Student Organization that represents all music student organizations at Washington State University. Allegro aims to excite and inspire through music by partnering with student organizations to provide funding for world-renowned guest artists to perform and work one-on-one with students on the Pullman campus. 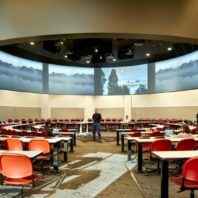 Allegro receives generous funding from the Associated Students of Washington State University.